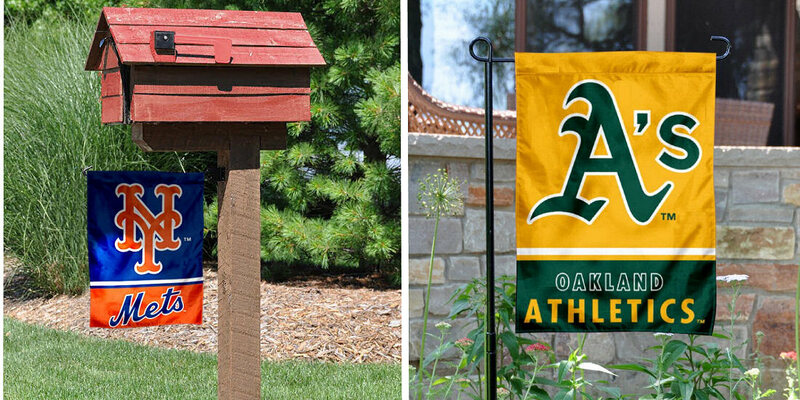 Our MLB Garden and Yard Flags are a great way to display your MLB team spirit in your home entranceway, window, or any interior wall at home or the office. These yard flags measure a large size 12.5" wide by 18" long and are made of 2-ply polyester with a sewn-in liner so the logos are readable correctly on both sides. These can be hung with any of our Garden Flag Accessories which include an adjustable height garden flag stand, mailbox poles, window suction hangers, and mini banner poles. All flags are MLB Genuine Merchandise which insures true colors, authentic logos, and top quality. 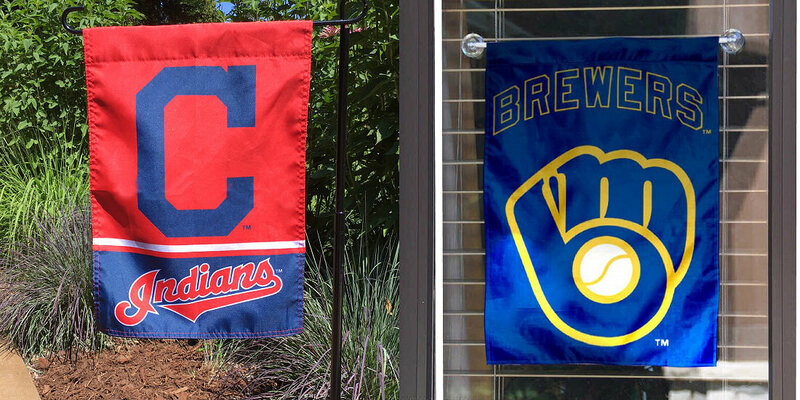 If you are seeking larger flags, see our MLB Team Flags by selecting your favorite team. Larger sizes may include 2'x3' flags, 3'x5' flags, 4'x6' flags, house flags, banners, and more.